Cristiano Ronaldo's move to Juventus isn't just helping raise the profile of Serie A. It's also helping Italy's national team to recover from its failure to qualify for last year's World Cup. 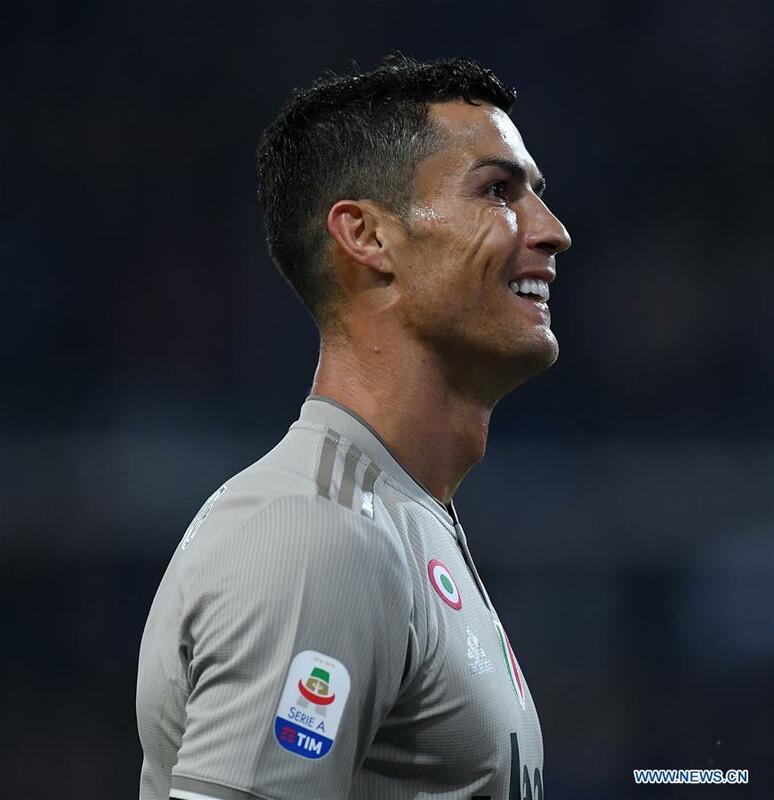 Moise Kean, a 19-year-old reserve forward at Juventus, has gotten the chance to observe Ronaldo up close on a daily basis. "I can only learn from him. It happens every day," Kean said after scoring Italy's second goal in a 2-0 win over Finland on Saturday to open the Azzurri's European Championship qualifying campaign. Kean became the youngest striker to start for Italy in more than a century and the youngest scorer for the Azzurri in more than half a century, second only to Bruno Nicole in 1958 and one spot ahead of Italy great Gianni Rivera. Born in Italy to parents from Ivory Coast, Kean earned his spot in Italy's squad by scoring a brace in Juve's 4-1 win over Udinese earlier this month while Ronaldo was rested. Kean also made history in his debut season in 2016-17, becoming the first player born in the 2000s to appear in a Serie A game, score in one of Europe's top five leagues and play in the UEFA Champions League. "I'm just trying to stay ready by training to my fullest," Kean said. "There are a lot of records to break and I'm ready to break them." Italy coach Roberto Mancini also made his Azzurri playing debut as a 19-year-old, so he seems well suited to handle Kean. "His prospects are huge but let's not forget that we're talking about a 19-year-old kid," Mancini said. "We expect great things from him but we also need to accept the mistakes. He's destined for greatness. He's got a lot of skill and is always improving. But having talent isn't enough. You've also got to play calmly with joy and carefreeness." Kean is one of a number of young players seeing action in Mancini's revival project. Nicolo Barella, a 22-year-old midfielder with Cagliari, scored the opener against Finland for his first international goal, too. Italy's last 15 goals have been scored by 15 different players — the most recent 10 of those coming since Mancini replaced the fired Gian Piero Ventura. Then there's 20-year-old goalkeeper Gianluigi Donnarumma — the heir apparent to Gianluigi Buffon, who has not played a competitive match for the national team since Italy lost a World Cup qualifying playoff to Sweden in November 2017. Defenders Daniele Rugani and Alessio Romagnoli, both 24, appear to be the center back pairing of the future, while Federico Chiesa (21) and Federico Bernardeschi (24) — who often plays alongside Ronaldo at Juventus — have already established themselves on the wings of the forward line. The starting 11 on Saturday featured only two players born in the 1980s: 34-year-old captain Giorgio Chiellini and fellow center back Leonardo Bonucci, who is 31. They, too, play for Juventus and have seemed rejuvenated this season during the Bianconeri's run to the UCL quarterfinals. With Chiesa and Lorenzo Insigne each out injured, Kean lined up on the wing against Finland. But he can also play center forward. "I'll play wherever Mancini puts me," Kean said. There's still room for veterans, however, as 36-year-old Fabio Quagliarella displayed when he nearly scored on his first touch after coming on in the second half then also hit the post. But expect more from the youth movement in Italy's next match against Liechtenstein on Tuesday in Parma.